Presentation software is one of the application software that is used to display information in the form of a slide show. Presentation software has three major functions: an editor that allows text to be inserted, a method for inserting and manipulating graphic images, and a slide-show system to display the content. MS PowerPoint, Impress, SlideShark, etc. 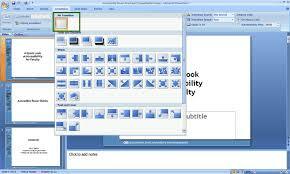 are some of the examples of presentation software. It is one of the popular presentation software developed by Microsoft. This software is available in Microsoft Office Package. We can prepare presentation slide by using PowerPoint. 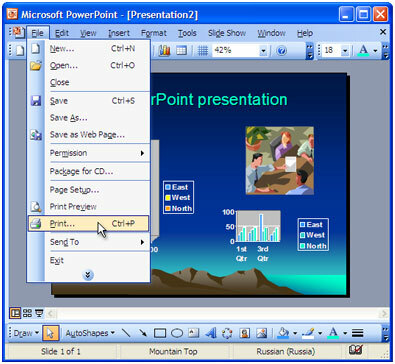 MS PowerPoint program is available in different versions such as MS Power Point 2000, 2003, 2004, 2007, 2010 etc. PowerPoint files have .pptx extension. This program is very easy to use. We can prepare presentation slides within a short period of time. Various themes are available in this program. We can use different kinds of animations to make our presentation more attractive. We can insert images, videos, etc. according to our need. 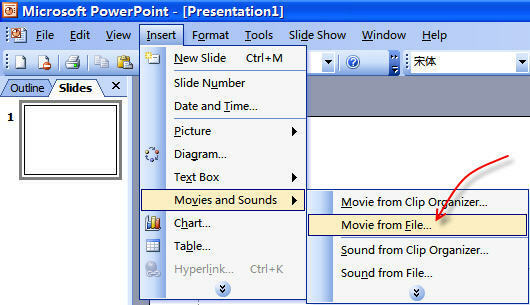 Step 4: Click on the Microsoft PowerPoint 2007. Step 1: Click on Design Tab. Step 2: Choose available themes or click on more button to search for other different themes. Step 3: If the color of theme needs to be changed, then click on the drop down arrow. Step 4: If you like to choose or make different color then click on Create New Theme Colors. Choose the color and click on save button. Step 5: If the background needs to be changed then click on Background Styles. 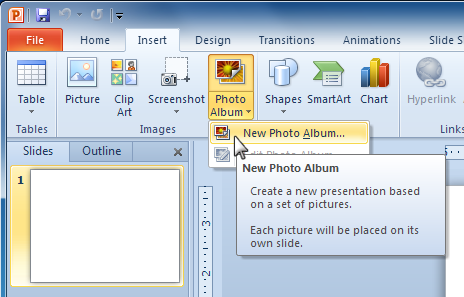 Step 6: Choose available backgrounds or click on format background to change the style of pictures and colors. Finally, click on close button. Step 1: Click on the slide panel of Home Tab. Step 2: Choose the layout according to the content. Step 1: Click the Photo Album button on the Insert Tab. Step 2: Click on New Photo Album. Step 3: Click on File/Disk to add pictures to the photo album. Then the Photo Album dialog box will appear. Step 4: Browse your photo to create an album. Step 5: Select the required photos to keep in the album. Step 6: Click on the Create button from the dialog box. Now, your photo album will be created. video clips can be added to a presentation. Step 1: Click the Insert tab. Step 2: Click the Movie button from the Media Clips of the Insert Tab. 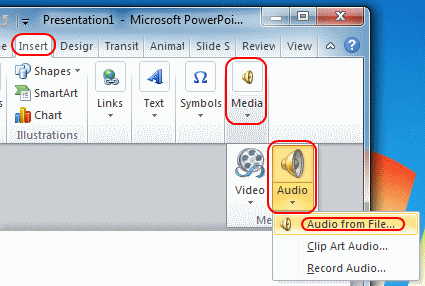 Audio clips can also be added to a presentation. Step 1: Click the Audio button on the Insert Tab. Step 2: Choose the sound from the file, Sound from Clip Organizer, Play CD Audio Track or Record Sound. Step 1: Select the slide that you want transitions. Step 2: Click the animations tab. Step 3: Choose the appropriate animation or click the Transition dialog box. Add sound by clicking the arrow next to Transition Sound. Modify the transition speed by clicking the arrow next to Transition Speed. Click the Apply to All button from the Transition to This Slide group of the Animation tab. Step 2: Click the Custom Animations from the Animation tab. Animation pane will appear on right side of the screen. Step 3: Click the Add Effect and choose the appropriate effect from the pane. To check the spelling throughout a presentation, click the Spelling button in the Proofing group on the Review tab. Step 1: Click on Microsoft Office Button. Step 2: Place the cursor over Print. Step 3: Click on Print Preview. Step 4: Click the arrow next to Print what to change the print options. Step 5: To print from Print Preview, click Print. Then click the Close Print Preview button. Step 1: Click the Microsoft Office Button and click on Publish. Step 2: Click package for CD and type the CD name. Step 3: Click Copy to CD or Copy to Folder. Presentation software is one of the application software that is used to display information in the form of a slide show. 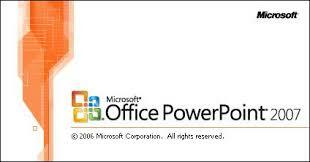 Microsoft PowerPoint is one of the popular presentation software developed by Microsoft. Presentation software has three major functions: an editor that allows text to be inserted, a method for inserting and manipulating graphic images, and a slide-show system to display the content. We can prepare presentation slide by using PowerPoint. 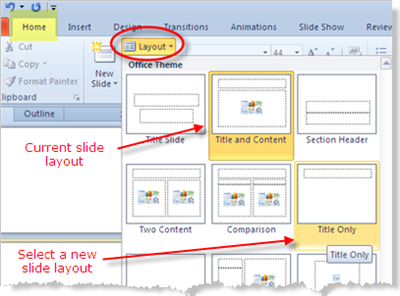 A PowerPoint template is a pattern or blueprint of a slide or group of slides that you save as a .potx file. Transitions are effects that are placed in between of the slides. Write short note on presentation software. Write any three advantages of MS PowerPoint. 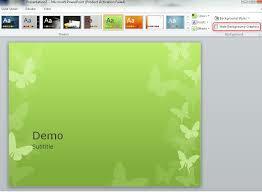 A PowerPoint template is a pattern or blueprint of a slide or group of slides that you save as a .pptx file. Templates can contain layouts, theme colors, theme fonts, effects, background styles, and even contents. These templates are known as themes. What do you mean by slide animation? Slide animation effects are predefined special effects that you can add to objects on a slide. Transitions are effects that are seen when you switch from one slide to another. _________ is one of the application software that is used to display information in the from of a slide show. Which of the following is not the advantage of MS PowerPoint? We can use different kinds of animations to make our presentation look more attractive. We can prepare presentation slides within short period of time. ______ are effects that are in place where you switch from one slide to another. _______ effects are predefined special effects that you can add to objects on a slide. Which of the following key is used for slideshow? Any Questions on 'Presentation Software (MS PowerPoint) '?